Holy Winter Wonderland…if you were lagging in Christmas spirit, I must be practically running over snowmen! 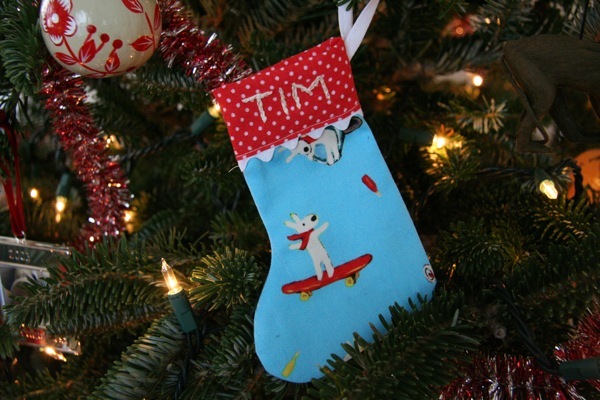 I love Tim’s stocking, that Gaspard and Lisa fabric? It does feel a bit like an assembly line as of late. Or maybe more like Santa’s workshop at your place. Congrats on your nomination for a BoB Award. Keep up the good work! Love love love that robot..and the stockings are wonderful. I’m working on a jesshutch bear right now.. knit knit knit! I love that robot. Wanted to let you know your christmas bot cards are a big hit around here, everyone wants to know where I got them. You are slowly turning me on to this robot thing. The more I think about it the more I realize I need one to help me around here! hurray for christmas spirit!! um, and baileys irish cream!! hope you enjoy plenty of both this entire week! your robot looks great! I signed up for the Flickr thing too…need to explore! 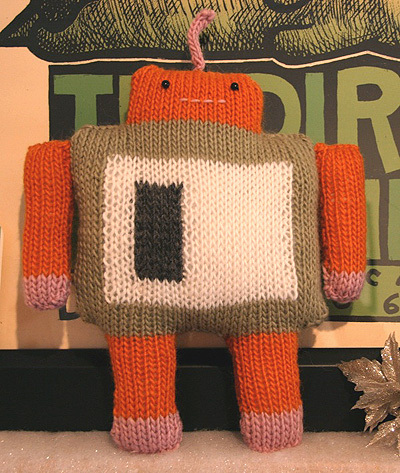 I also like your fun robot..and love the fabric on Tim’s stocking. I enjoyed peeking at your ornament pictures. OK…I pretty much enjoy everything on your site. You are a daily stop for me. Hey there robot! Cool colors. 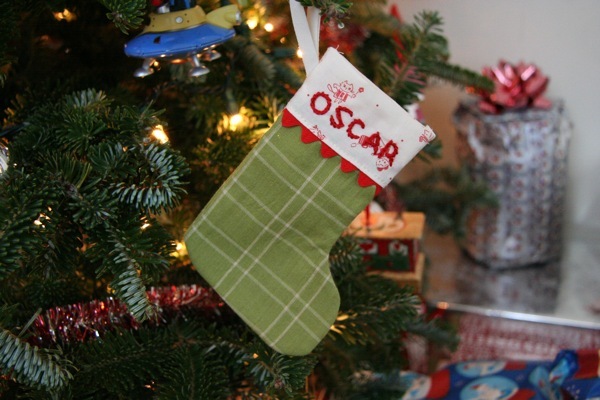 And I love the stockings, too! The robots and the stocking are really great. Cute stockings! Very cool looking robot! Have a merry Christmas ! Okay, I’m seriously loving the Gaspard and Lisa fabric. Ohh… I can’t look, its to cute!